Complete Skin Care And More! Please select an option Blue Dark blue floral Light blue floral Pink Coral Coral floral Please select a Color. Easy To Store and Organize - It allows you to easily store and organize your clothing that makes it easy to pack and even easier to unpack. Your clothes will stay more wrinkled free and not get crushed during your travels. 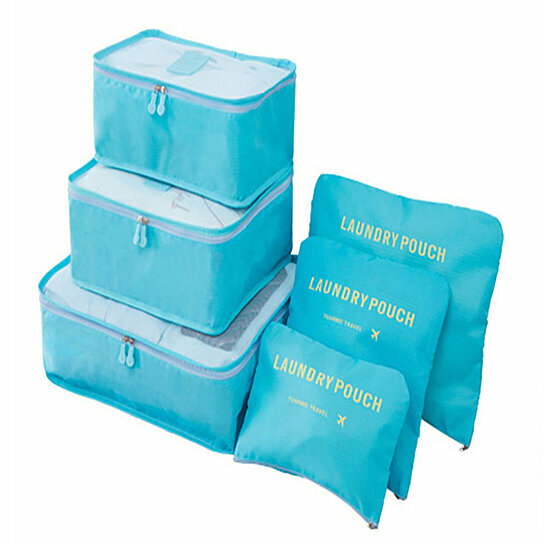 Shoe Bags included(Could also be used as a small Laundry bag to help separate your dirty clothes. Saving Space - Our packing cube system fixes that issue by neatly packing all your clothes tightly into our space saving bags. Pack more clothes in a small space for your next trip. Your 6 piece set fits like a glove into most airline carry-on suitcases, tote, weekender, backpacks and duffel bags.